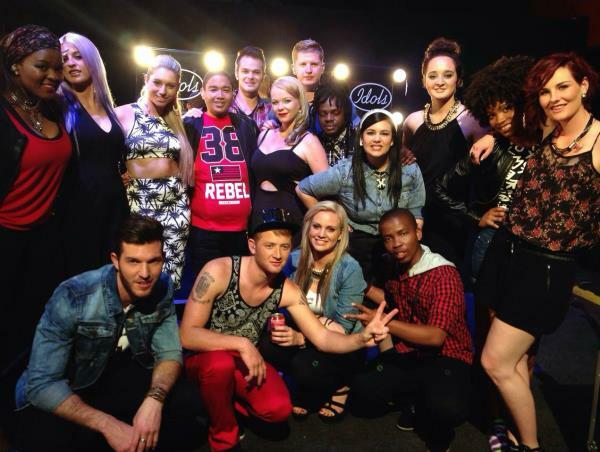 We can now say Idols season 10 has begun after the top eleven was announced live from the State Theatre in Pretoria. We can now say Idols season 10 has begun after the top eleven was announced live from the State Theatre in Pretoria tonight. The first two Top 11 finalists, 25-year-old Vincent Verhoog from Cape Town and 24-year-old Ivan Rouxfrom Centurion, were announced last week already after an on-screen communication error. Joining them after was the Psychology student London Louw (24), followed by Vincent Bones (29) the worship leader from Pietermaritzburg. Professional backup singer from Nelspruit the beautiful Bongi Silinda (23) is followed by Kyle Deutschmann (27) who was featured in Cassper Nyovest’s new album. 20-year-old Roxy McVean, who was in shock when her name was called out. The crowd's favourite, Musa Mashiane (24), and Tumi Morobane (21) a first-year Musical Theatre student at the Tshwane University of Technology. Lize Mynhardt (21), a B.comm student from Stellenbosch University who considers herself as the reserved one in the group and 24-year-old singer Demi Lee whose real name is Demi Moore.